Red Sky Presents offers inspiring Indigenous creators and companies from across Canada and around the globe. Red Sky Presents introduces audiences to inspiring and leading Indigenous creators from across Canada and around the globe. Through our Presenting series, we present talented emerging, established, and senior Indigenous artists as they pursue their artistic practice and provide them with opportunities to thrive on the stage. Come + Hear the music-in-development of our newest dance and live music production, with a focus on the theme of The Great Lakes. 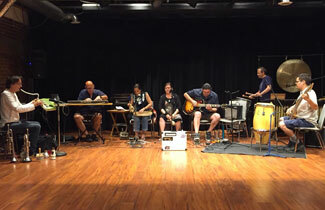 Music for The Great Lakes is a collaboration of Red Sky and ArrayMusic and includes music creators, musicians and vocalists: Pura Fe (Tuscarora), Rick Sacks, Marc Merilainen (Anishinaabe), Julian Cote (Teme-Augama-Anishinaabe), Christian Parrish aka Supaman (Crow), Craig Commanda (Algonquian), and Marie Gaudet (Anishinaabe). This workshop is collaboration of Red Sky and ArrayMusic. Come and make Saturday 18th a night of Indigenous music. The Indigenous Music Concert program includes: The Great Lakes Project at 6:45 pm | Indian City at 8:00 pm | Derek Miller at 9:15 pm, presented by the Indigenous Arts Festival @ Fort York. The Indigenous Music Creators Project is an innovative, music-driven initiative that supports emerging and professional Indigenous musicians, singers and music creators that seek to score for dance, theatre and hybrid forms of performance. This project seeks to address the critical shortage of Indigenous composers and creators that score for dance, theatre and other performance forms. The project covered core topics including composition, harmony, pitch, tempo, working with traditional and contemporary genres, working collaboratively, working as soloists and pre-formed ensembles, and working with dancers, actors, and the moving image. Participants included: Marc Merilainen, Moe Clark, Rick Sacks, Thomas Fonua, Craig Commanda, Clarence Michon, Sarah Yankoo, Shandra Spears Bombay, Jennifer Wabegijig and Kathleen Kavanaugh. Since the early 90's, performance artist/writer Guillermo Gómez-Peña and Native American conceptual artist James Luna have worked on an ongoing project titled The Shame-man meets El Mexican't, in which they challenge assumptions and lazy thinking about ethnicity and culture with a strong dose of melancholic humour and sharp-edged conceptualism. By using performance, writing, photography and video, the artists have remained flexible and relevant to our shifting culture. Launched in 2007, La Nostalgia Remix is the last project in The Shame-man...series. The artists explore nostalgia as style, a form of resistance, and reinvention. 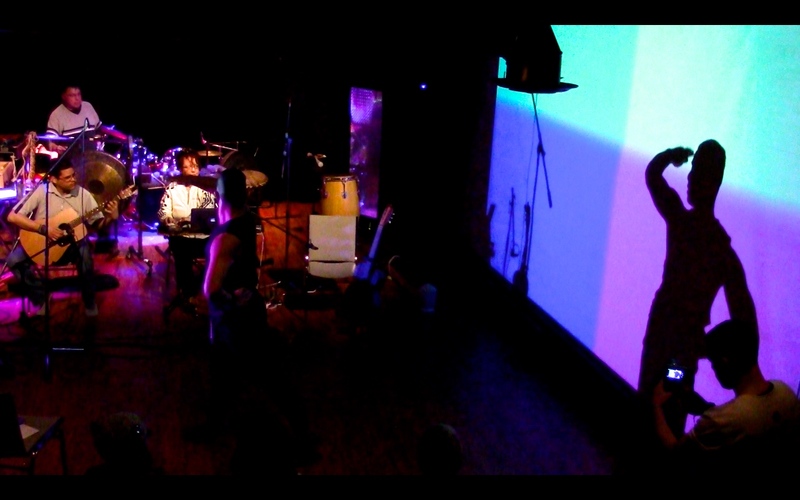 Remix is a series of "live performances for an imaginary bar" that explore the cultural, symbolic and iconographic dimensions of nostalgia both on the Native American "rez" and in the Chicago "barrio". The performance/installation has been designed specifically for this unique site (Tranzac) and will never be performed in the same way. James Luna (Puyukitchum/Luiseno) resides on the La Jolla Indian Reservation in North County San Diego, California. Luna's exhibition and performance experience spans 30 years. His installations have been described as transforming gallery spaces into battlefields, where the audience is confronted with the nature misinterpretations, all from an Indigenous perspective. La Nostalgia Remix is co-presented with Native Women in the Arts, imagineNATIVE Film + Media Arts Festival and 7a*11d International Festival of Performance Art. La Nostalgia Remix is supported by the James Irvine Foundation, the MAP Fund, The National Endowment for the Arts, the San Francisco Arts Commission's Native American Arts & Cultural Traditions Initiative, the Zellerbach Family Foundation, and William & Flora Hewlett Foundation. 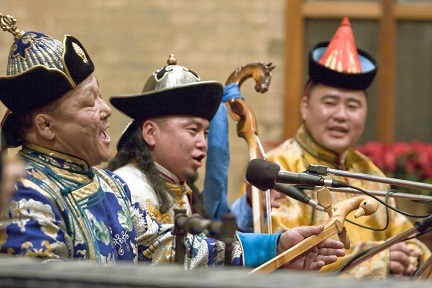 An evening of stunningly evocative music that connects the Indigenous cultures of Canada and Mongolia. Featuring live music from Red Sky's highly acclaimed dance production, Tono. With Rick Sacks, and direct from Mongolia: Tuvshinjargal Damdinjav, Bat-Orshikh Bazarvaani, and Batmend Baasankhuu. Mix, mingle and hear local traditional First Nations drummers, MorningStar Rivers Singers, and singers and musicians direct from Mongolia. Julie Choquette performed a 15-minute piece and then spoke about what it takes to become a contortionist and an aerial acrobatic. 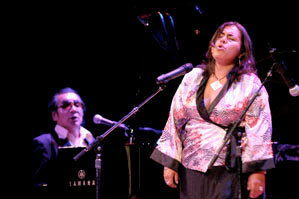 Featuring composer and lyricist Tomson Highway on piano, mezzo soprano Patricia Cano, and saxophonist Uli Kempendorff from Berlin. The cabaret featured selections from The Incredible Adventures of Mary Jane Mosquito and selections from Highway´s musical, Rose, which is part of his "Rez" cycle.